Clear’s Silat ground fighting rolls build directly off of the Falls and the jumping drill described in the last entry. Uncle Bill’s jumping into the air and then landing and jumping again continually help you to adjust to landing in different positions at different angles and speeds with very little time to think about it. As a result you naturally learn to use your body to spring better both on the landing and on the take off. Both of these skills are very useful for self defense. Silat ground fighting rolls can be a necessary tool in a serious situation. The jumping drill does help you to learn to roll with the impact with the floor or at the very least to spread out the impact but if you hit the ground hard enough or in a bad position to get a decent spring or you are being fiercely attacked on your way to the ground then a good Silat ground fighting combat roll may be just the thing you need to change things around. One way to practice Silat ground fighting rolls is to jump into the air as high as you can and then without stopping to land drop to the floor and roll and then jump into the air again continually. Do some of the rolls forwards and some of them backwards and even some sideways rolls. This is all practiced non-stop. 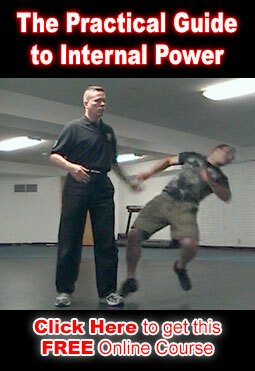 We do also train 2 very specific Clear’s Silat ground fighting Rolls in Phase I for beginners. These 2 rolls are a forward and backward rolls whereby you make your arms very round so that there is no or little impact with the floor and so that the contact with the floor is very smooth. The forward roll can be done right out of a forward punching position. The punching arm and front foot are on the same side. You reach down and around to your back foot with the punching arm so that you roll on the round arc that extends from your hand all the way through to your back. Make sure to tuck your head and the back arm covers your head in a round shape once again so that any contact with the floor on that arm is also smooth. When you come up out of the roll you can continue running forward or you can choose to spin as you come up out of the roll to immediately run back in the direction you just came from. The backward roll is simply holding the same position as the forward roll and rolling backwards. Clear’s Silat ground fighting combat rolls training progresses as you continue in the curriculum. We also train how to go to the ground and continue fighting (both striking and destructive break type grappling) when you are grabbed by the leg or tackled in a way that forces you down. You never know when the ground is going to be slick or unstable (for any number of reasons) or when going to the ground but continuing to move very quickly may be the best option for a particular circumstance.